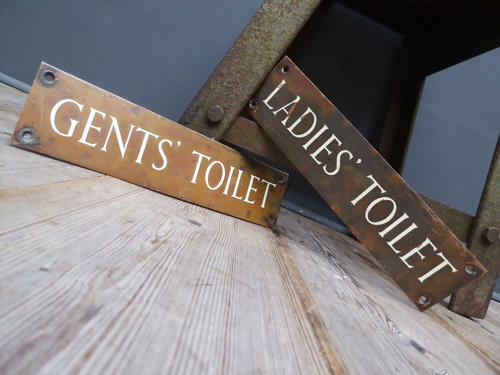 A wonderful pair of early vintage Ladies & Gents signs. A fantastic pair in bronze/copper with enamel inlayed lettering & a good patina. In good, untouched condition with a little loss to the enamel inlay on the Ladies sign.